Metaltex offers a wide assortment of rolling carts. In the kitchen, bathroom, bedroom, studio or garage; Metaltex carts are the best multipurpose storing carts that ease the carrying of the many things that you always need on hand. Products coated in Polytherm <sup></sup> : the exclusive Metaltex anti-rust and dust coating. Made in Italy with hard-wearing materials to stand the test of time. With practical castors: easy to move, accompanying you in your activities. Quality product: Made in Italy with sturdy materials. Plastic coated. Easy to assemble: requires less than 3 minutes assembling, no tools required (patented system). 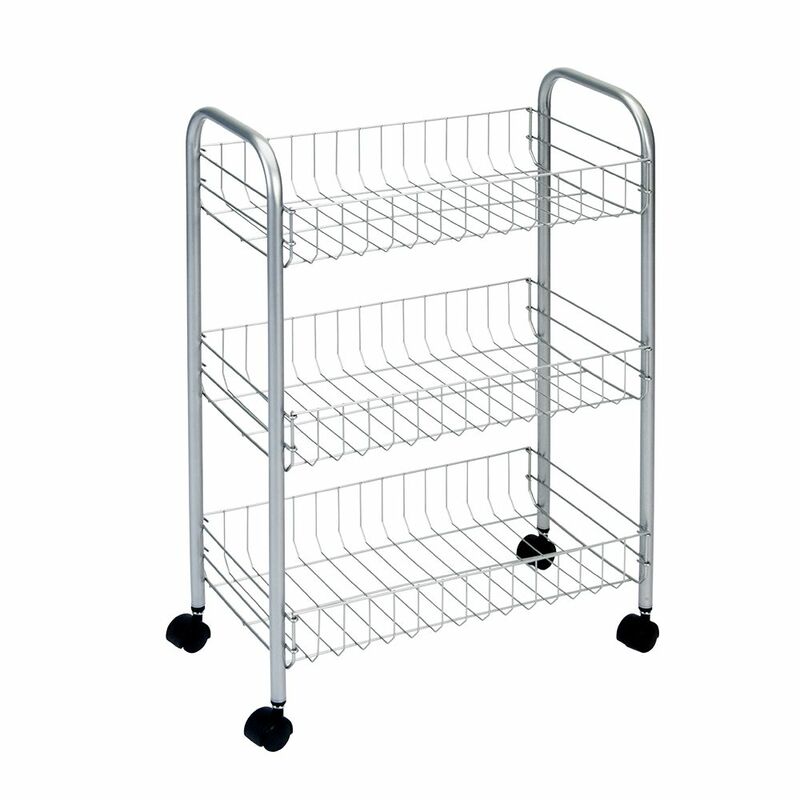 Polytherm - Lugano Rolling Cart 3-Tier 41 X 26 X 64 CM Metaltex offers a wide assortment of rolling carts. In the kitchen, bathroom, bedroom, studio or garage; Metaltex carts are the best multipurpose storing carts that ease the carrying of the many things that you always need on hand. Products coated in Polytherm <sup></sup> : the exclusive Metaltex anti-rust and dust coating. Made in Italy with hard-wearing materials to stand the test of time. Polytherm - Lugano Rolling Cart 3-Tier 41 X 26 X 64 CM is rated 4.0 out of 5 by 1. Rated 4 out of 5 by Neat freak from Well made It's compact and sturdy. The coating is smooth. No hassle to set up. It has wheels, so it's easy to be moved around. Exactly what I was looking for. Only 4 stars because of its price.